Celtique, Doug Hammer’s twelfth release, tells the story of a fisherman: a day in his life from daybreak to twilight. 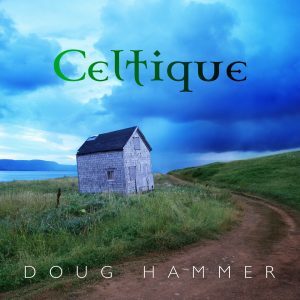 Inspired by his love of Celtic music as well as places and cultures he has experienced, Doug Hammer has created a masterpiece. Celtique begins and ends with the title track “like an unbroken, sacred circle.” The first one, subtitled Daybreak, starts quietly but quickly develops into a spirited, joyful dance. 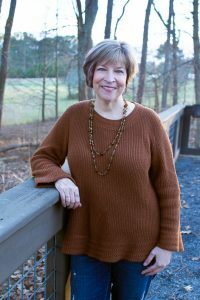 Through The Mist opens with rich, sustained bass that supports a simple melody played in the middle register of the piano, then shifts to a contrasting theme that is both robust and haunting that almost sounded like it was being played on a hammered dulcimer, concluding with the second theme played in a whisper. Wandering Path begins with a repetitive bass pattern played at walking tempo beneath a simple right hand melody, changes to a second theme that shimmers like the wings of a hummingbird, then returns to the original theme. Crumbling Wall is an atmospheric sound painting; as the colorful, almost impressionistic chords ripple downward one can almost smell the earth and feel the roughness of the stone while walking along the ancient structure. This ambience continues with Ancient Stones, an elegant processional with open intervals pulsing in the left hand beneath a right hand melody both poignant and powerful in its simplicity as it alternates between the upper and middle registers of the piano. She Beckons initially brought to mind the legend of the Sirens, alluring and mysterious, before changing to a passionate Celtic dance. The exuberant To the Sea encapsulates those feelings of excitement and optimism experienced when one embarks upon a long-anticipated journey. Wind and Waves describes that journey, which turns out to be a perilous one, with sonic representations of thunder, lightning and wind indicating that the ship is in grave peril. One can almost feel that sting of the ocean spray and the turbulence of the sea beneath! But all ends well with Calm Water, a musical depiction of peace settling over the ocean at the conclusion of the storm and sunlight sparkling over the smooth surface of the water. Voices of the Past pays homage to previous generations, their strength and courage a source of inspiration and courage in the present day. The hymn-like Golden Land is followed by Moss and Earth, its two contrasting themes serene and beautiful. Journey Home offers reflections of time well spent before the dreamlike closing track, subtitled Twilight, brings the day in the life of the fisherman to a tranquil finish. Although this album deserves to be listened to in its entirety, the individual tracks are so strong individually that it is impossible for me to identify any particular favorites. I loved them all! Fans of solo piano and/or Celtic music, this is an absolute must for your collections. Very highly recommended!